NetherRealm Studios has officially ‘finished’ it. Warner Bros. Interactive has announced that Mortal Kombat has gone gold, meaning the back-to-its roots reboot is right on track to hit the release dates of April 19 in the North America and April 21 in Europe. 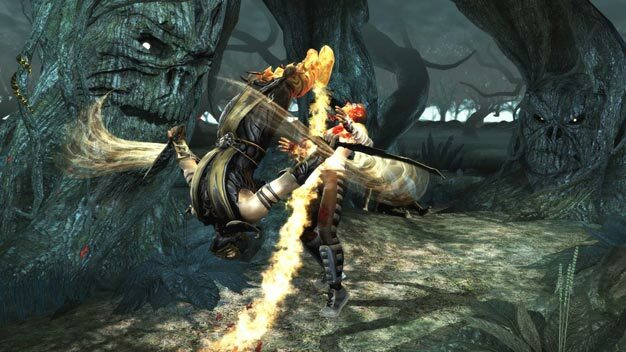 The title, to be available on PS3 and Xbox 360, returns to what helped make it one of the most venerable fight franchises of all time. 2D fighting mechanics, fatalities and over-the-top blood splattering will meet an all new graphics engine. New gameplay features, including tag team and a deep story mode, also join a host of new DLC characters. Whether this all adds up to a much-needed comeback is yet to be seen. For now, these new screens should help quench the blood lust.